Dystopian literature has always been a favorite of mine. There's something so fascinating to me about alternate societies and how people would act in them. They are more than just the opposite of Utopias. In fact, both forms of society are meant to create a perfect world, but dystopian societies usually result in the opposite. In case you haven't noticed, dystopian fiction is popping up all over young adult lit. How do I feel about this? I love it! And I hate it. Allow me to explain. A dystopia is a place where you don't like where you are, but it is very hard to move. I think what makes the literature so enjoyable to read are the ones who do move. The heroes/heroins who speak out against the regime and stand up for what is right, even if speaking against an entire society. The ones who see the bigger picture. We relate to them; we want to BE them. But often when I'm reading dystopian fiction, I think about the majority. The ones who go along with it. Who don't speak out. Then I think about who I would be and who I am now. That kind of self-reflection is priceless! And I'm a grown adult. Imagine that kind of reflection to a 15 year old. For that reason, I think dystopian literature is fantastic for young adults. Dystopian literature is best when...A- it really stretches the imagination, B - it doesn't sugar coat it, and C- it's important. Case in point...The Giver and The Hunger Games. One of my first novel obsessions was The Giver. That book is the reason I love dystopian lit so much. It changed my life. My young, naive, little 10 year old life. The first time I read The Hunger Games, it really reminded me of The Giver. It was sad, it was real, it was sincere and I believed it. It wasn't only meant to entertain me...it was meant to move me. I was able to connect it to the world I lived in and I knew it was bigger than me. I had something to gain and it taught me I am more powerful than I thought. It was a million amazing things rolled into one. It wasn't about who ended up with who, or even who died or lived. It was about a world that was inherently wrong, wrong, wrong and how one person could change that. When dystopian lit is not A,B & C...that's when I get frustrated. When it is superficial and I can't take it seriously, that's when I don't think they are great for teens. But honestly, I think teens can see through that. The only one I can think of is Uglies. That novel really didn't have anything to offer, especially when placed in comparison with a novel like The Giver or The Hunger Games. Speaking of superficial...pop culture. Pop culture is killing literature. 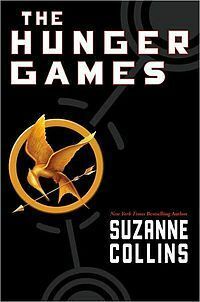 It takes a novel like The Hunger Games and throws a logo on it. Prints that logo on a million shirts and keychains. Mass produces dolls and stickers and pays billions upon billions of dollars on marketing 30 second trailers and by the end of all that, we forget why the novel was so important in the first place. Pop culture is like the Capitol. End soapbox rant. I AM going to see it. Pop culture or no...that movie looks awesome. And I really think it's going to be mostly the novel's fans who will go see it. I just hope no one chooses to skip the book and just see the movie. Share the funniest book you've read. Or even the funniest character. I haven't heard of that last one. I'll have to check it out! I almost picked the Handmaid's Tale as my favorite. It's an incredible book. The Giver was also one of my favorite novels growing up! I love dystopian but have a really hard time getting into any other sci-fi, which I think is why The Giver stood out to be so much! I can't wait to link up next week. Comedy writing is absolutely my favorite! I haven't had a chance to write this post yet, but The Giver was #1 on my list as well. First, I had not even thought of The Giver as dystopian, or it would definitely be my favorite! I think I was too young to understand was "dystopian" was at the time, and it's a lot more mature than the other Y.A. novels out there (HG, Uglies, etc. ), so I didn't even put it in the same category. But that is for sure my No. 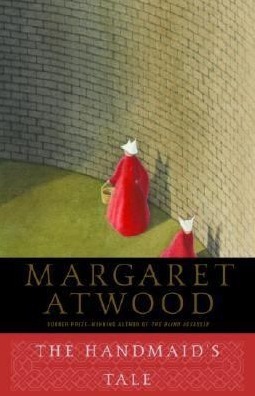 1 all-time favorite dystopian novel. :) Also, 1984 would have to be up there. Again, I didn't think of it as "dystopian" because it's a classic, but it definitely is. Sorry for the super-long comment. Thanks again for hosting this book chat; I look forward to it every week! I love long comments. lol and I'm glad you guys like the book chat. I look forward to it too. I promise I will give Uglies another chance. :) It is rare that I dislike books without having a good reason. I can just "not enjoy" a book, but that doesn't make it a bad book. I think I disliked Uglies because I thought it was a rip off. Now that I have another perspective, I'll give it another chance. I gotta say, I'm more of a traditionalist in this case...1984 and A Brave New World are the best for me :) The Hunger Games was good, but didn't have the same literary strength of the two I named, at least for me. I LOVED "The Giver" growing up and among YA fiction, I'd say it's the best. I agree on a literary level completely. I had 1984 crammed down my throat enough to appreciate it, but not enjoy it. You might like Handmaids Tale then. I can't agree more with everything you've said here. You really are my book soul sister AS WELL AS my music one! Seriously! Hunger Games definitely re-ignited my love for dystopian. I didn't understand it at the time even though I had loved books like The Giver, too. I actually re-read The Giver this summer and although it wasn't as enchanting the second time, I know exactly why I loved it so much the first time around. 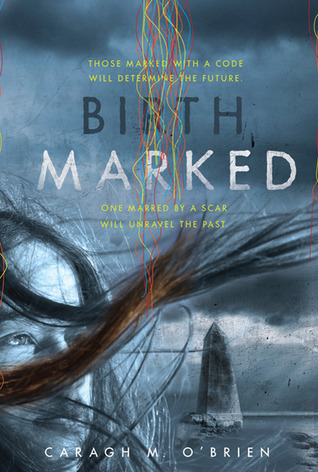 I definitely need to check out Birthmarked! YOU, need to check out the dystopian I'm reading right now. It's more romancy (think Delirium) but I know you're like me and love when it's something WAY OUT THERE. I actually can't put it down. It's called Cinder by Marissa Meyer. The idea behind it is super strange (a play on Cinderella) but it's not AT ALL like the classic tale and I'm so completely in love with this book right now, I can't even tell you. 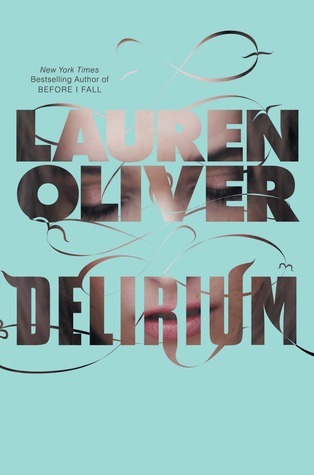 I'm about halfway through and I think I like it more than I liked Delirium when I first read it! Oh man. Let me know what other ones you think I need to read! I'm happy you've marked Maze Runner on your list. SO good!! I've seen Cinder on the shelves. It's intrigued me for sure. Now that I know it's good I'll definitely read it. Oh man, so many books to read! lol I'm having a hard time getting into Pandemonium but I'm okay with that. I'd rather read it closer to the 3rd books release. I hate waiting lol. 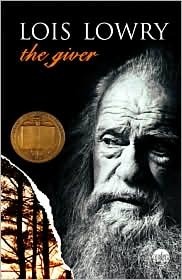 The Giver is my favorite book ever, sure there are probably better books after it but it was my first favorite and I have probably read it 10 times. Have you ever read Ella Minnow Pea? If not it's a quick fun read that you should check out. I also just read Divergent which is good and very Hunger Games-esq. It's funny because I just finished reading The Giver with my grade 12 ESL. I really loved the book. I had never read it before this year (we didn't read much anglophone lit at school). It's very fun to work with in class too because of how the students can project themselves being in this society and how it would be, and then compare it with our society. Although the main comment is: They are weird! I like to have them see why Sameness seemed like a good idea at first (no sufference, no discrimination, etc) but to question if we are ready to pay the price for it, or if it's really worth it at all. I like dystopia too and after seeing all the kids in school reading the Hunger Games ( and reading book reports about it) I definitely want to read them. I would like to see the movie too because it looks really well done. I love reading the book chat! It is fast becoming one of my favourite series' :) so thanks for that! I am yet to take part - but am already planning a response for next week - watch this space!